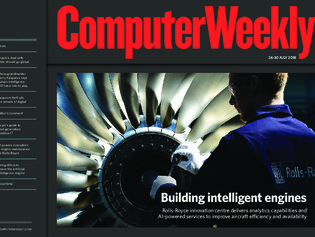 In this week’s Computer Weekly, we talk to UK manufacturer Rolls-Royce about using artificial intelligence, sensor technology and data analytics to build intelligent aircraft engines. Our latest buyer’s guide examines the next generation of desktop IT. And we ask whether a court ruling in Chile could lead to a worldwide change in Oracle’s software licensing practices. Russian oil giant Gazprom Neft will harness the latest technologies right across its business, as its chief digital officer, Andrei Belevtsev, explains. Artificial intelligence‘s ethical use is a hotly discussed debate worldwide, but collaboration is needed to develop solid frameworks. Former world chess champion Garry Kasparov told attendees of Tableau’s European user conference that artificial intelligence is a positive force that will stoke, not choke, human creativity.